As a possible reply to the current draught crisis in California, that has resulted in thousands of lost jobs, productive land hectares destroyed and the raise of imports in order to sustain the US alimentary system, Cornu Copiae proposes the Union of the 16 States of the East Coast. 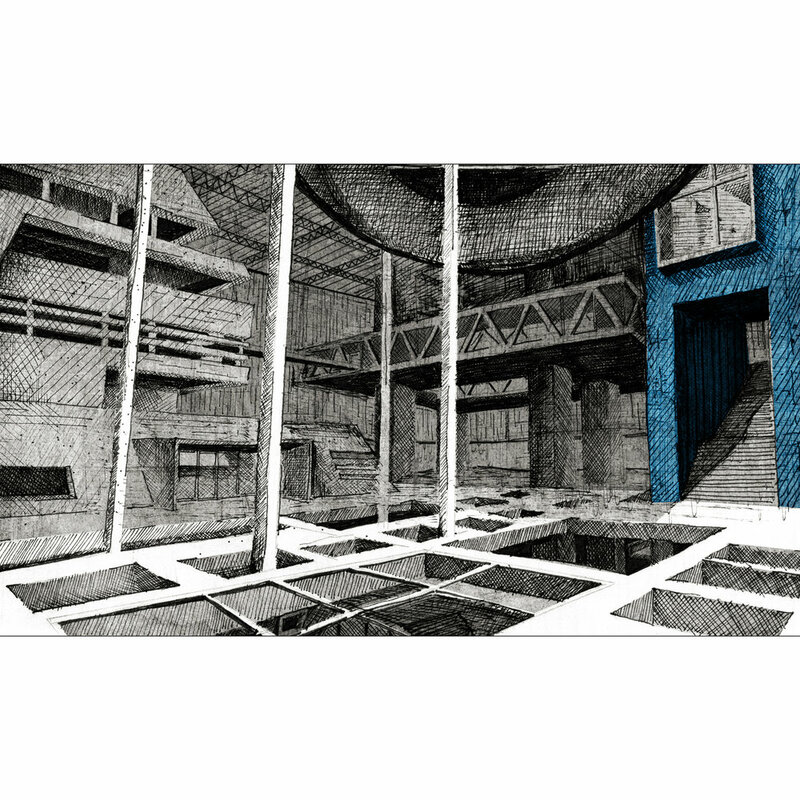 With the combined productive power of 85% of that of California, the road, aerial, and coastal connectivity already active, Cornu Copiae seeks to be the Headquarters, the Think-Tank of this Union in Washington D.C. The new headquarters of the East Coast Alimentary Union shall provide the Nation’s largest industry with a production and research paradigm, a center for learning and personal cultivation, a point of close interaction between the government and organizations, an icon. By placing the center of this initiative in the Nation’s Capital, one cannot ignore the city’s specific spatial, social and economic events and forces in play. The Capital’s ceaseless need to connect with its riverfront and bridge the economic and social gap between the lower and higher income areas (which correspond to the African American and white population concentrations), as well as the current large developments on both sides of the river form the diagram of Cornu Copiae. 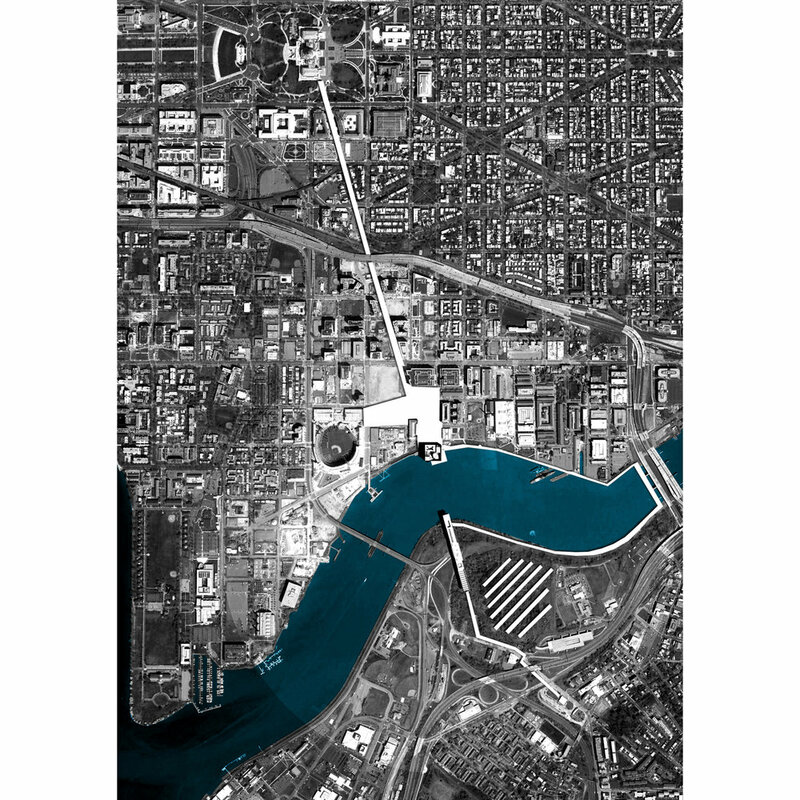 The axis created by New Jersey Ave. leading from the US Capitol building and the heart of the city to the south-east riverfront is extended to the opposite side of Anacostia river to connect the isolated wards 7 & 8 with the rest of the civic grid. At the points of intersection of the axis with the riverbeds Cornucopia manifests itself with two buildings: One point and one line. 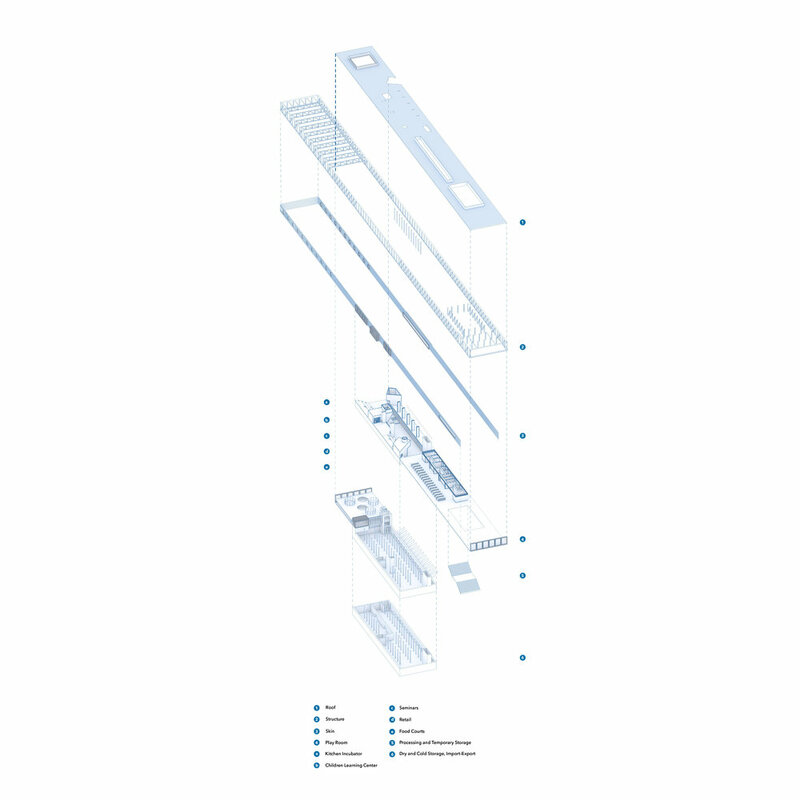 The point concentrates the education, culture and governance near the city’s commercial center, and the line embodies the paradigm of the alimentary production line from farming, harvest, processing, packaging, storage, distribution, retail and exposition. 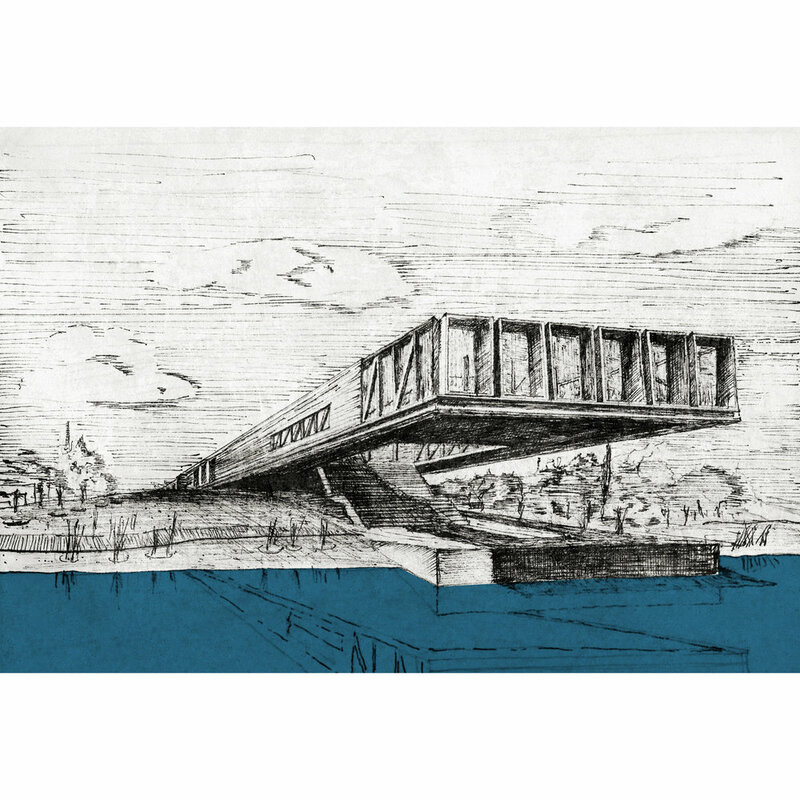 The buildings both take part and ignite a public promenade around Anacostia river connecting the two parts of the city visually and physically though the OMA’s 11th street bridge park. 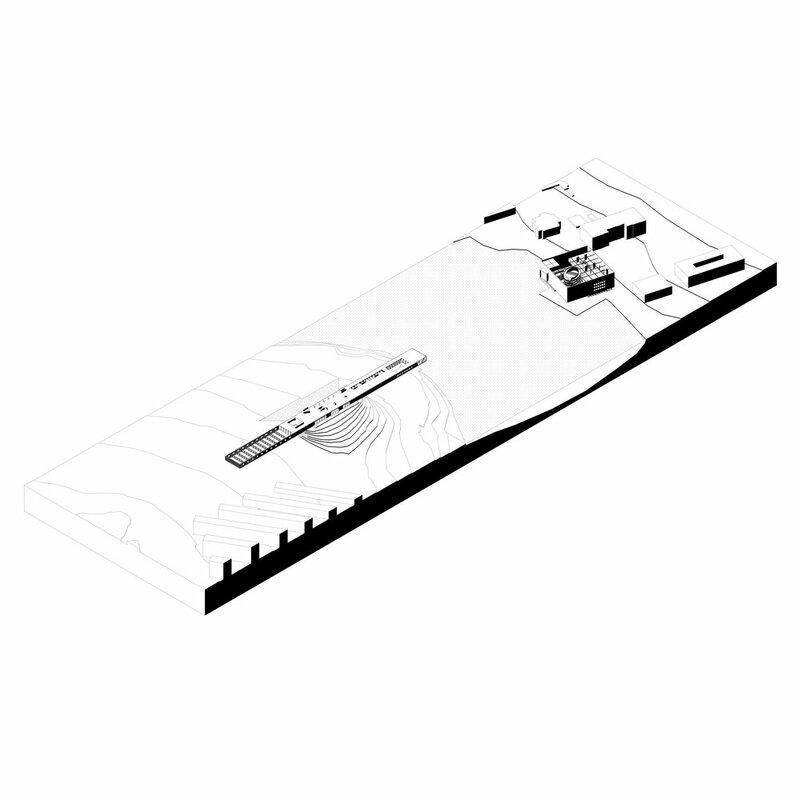 The axis expands the promenade within the city and consumes open spaces that frame it, periodically to manifest the return of local, transparent food in different events, but also engage the activities of the city enter within the buildings boundaries.